ISTANBUL (Morning Star News) – Three Iranian Christians sentenced to receive 80 lashes for drinking wine during a Communion service filed an appeal Wednesday (Oct. 25) to have their case overturned, a noted advocacy group reported. In a trial that lasted a mere 10 minutes, the three converts from Islam, Mohammadreza Omidi, Yasser Mossayebzadeh and Saheb Fadaie, on Sept. 10 were all sentenced to receive 80 lashes for drinking wine. It was the second time Fadaie and Omidi have been sentenced to flogging for taking Communion. The Iranian government uses the alcohol statute as another way to harass converts to Christianity, Kiri Kankhwende of Christian Solidarity Worldwide (CSW) told Morning Star News. Some Iranian Christians believe that more conservative elements in the government are trying to create an Iranian church that is compliant with sharia [Islamic law] or an “Islamic-style church,” she said. The attorney for the three Christians has not publically released the grounds for the appeal on the alcohol charges, but the filing was submitted on the last day possible. Advocates monitoring the case expected an appeal to be filed on Oct. 15, but complications with another trial in which the three Christians are charged led to a delay in filing the appeal. On Oct. 15 the three men and a third convert, pastor Yousef Nadarkhani, were tried on charges of “acting against national security,” a catch-all charge often used by the government to punish different types of religious and political dissent, according to human rights activists. The government often uses it against converts instead of the charge of apostasy, according to Rob Duncan, MEC’s regional manager for Iran. The penalty for crimes against national security can vary from long-term imprisonment to death, but sentences in such cases or even verdicts can be difficult to predict, Kankhwende said. Domestic, regional, and international politics may sometimes impact verdicts as cases related to freedom of religion or belief can carry political messages that may reflect certain political tensions, she added. Iran’s internal security apparatus, VEVAK, on May 13 conducted a series of raids against at least 10 Christian-owned homes. Officials temporarily detained Nadarkhani and his wife, Fatemeh Pasandideh, but then released them both. Authorities took Mossayebzadeh, who was also at one of the houses, into custody. VEVAK agents summoned Omidi and Fadaie to their office by phone and then arrested them in connection with the raids, according to CSW. Weeks later, Mossayebzadeh and Fadaie were released each on the equivalent of a $33,000 bond, Mossayebzadeh on May 28 and Fadaie on May 29. Omidi remained in detention until officials released him June 7, also on a $33,000 bond. On July 24, court officials summoned Nadarkhani to court and charged him with crimes against national security. He was ordered to post a bond of $33,000, released and given a week to raise the money. Nadarkhani is no stranger to government persecution. In 2010, the Iranian government charged Nadarkhani with apostasy and sentenced him to death. The charges stemmed from a 2009 arrest after Nadarkhani went to his children’s school to question the Islamic-only religious education that was available. Eventually court officials acquitted him on the charges, and in September 2012, he was released from prison. He was found guilty of evangelizing, however, and three months later ordered back to prison on Dec. 25, 2012, and released almost one year later, on Dec. 7, 2013. 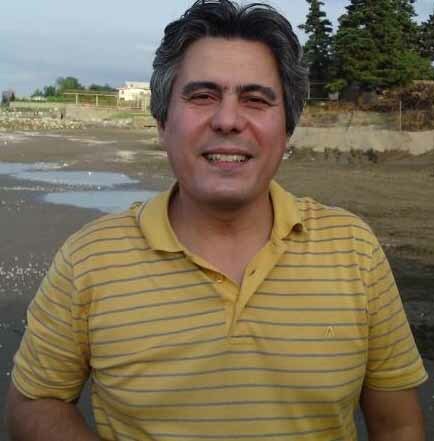 On the evening of Oct. 17, after serving six years in prison, Behnam Irani, a pastor and convert from Islam, was released from prison, according to Present Truth Ministries, a ministry group that specializes in Iran. 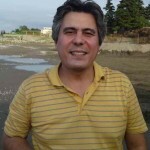 Irani, one of the leaders in the “Church of Iran,” was initially arrested in 2006 and found guilty of action against national security in 2008 and given a five-year suspended jail sentence. In 2010, Irani was arrested during a house-church meeting and eventually found guilty on new charges of action against national security. He was sentenced to serve one year in prison. In May 2011, he was ordered to begin serving the sentence to which the suspended five-year sentence was added. All throughout Irani’s imprisonment, he suffered serious health issues, including chronic, life-threatening internal bleeding. He was also tortured by prison officials and subject to numerous beatings by his fellow prisoners. In September 2014, Irani was placed in solitary confinement after being charged with “Mofsed-e-filarz.” Loosely translated as “spreading corruption on Earth,” the charge carries the death penalty. The charge was eventually reduced, and on Dec. 9, 2014, it was dropped in an appeal. CSW Chief Executive Mervyn Thomas said in a press statement that he welcomed Irani’s release but that his detention lacked even the appearance of justice. On Oct. 10, Iranian officials released Ramiel Bet Tamraz and Mohamad Dehnay after each submitted a security bond equivalent to $33,000. They were part of a group of five Christians arrested in August while on a fishing trip with their families. On Aug. 26, at about 1:30 p.m. security officials from the Ministry of Intelligence and Security (MOIS) arrived at the picnic in Firuzkuh, 93 miles (150 kilometers) east of Tehran, raided the picnic, separated the men from the woman and arrested all the men. When one of them asked to see an arrest warrant, which the officials did not produce, he was beaten, according to MEC. Tamraz and Dehnay were taken into custody along with Amin Nader Afshar, Hadi Askary and Amir Sina Dashti. Originally there were reports that Afshar had been released, but those reports proved unwarranted. Tamraz is the son of Assyrian pastor Victor Bet Tamraz, who was arrested along with other Christians at his home on Dec. 26, 2014 at a Christmas celebration. The elder Tamraz was informally charged with conducting evangelism, conducting illegal house-church activities and printing and distributing Bibles. He was released on bail on March 1, 2015 without ever being formally charged in court. According to MEC, no charges have been filed against any those arrested, “despite weeks of interrogation.” Hadi faced particularly intense interrogation, according to MEC.